Mark Salem supports the following organizations. Either of these groups would certainly appreciate your donation. Just click on one of the images below to visit their respective websites. I have been a volunteer Court Appointed Special Advocate (CASA) for the State of Arizona, appointed by the Superior Court since 1994. 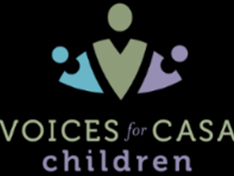 The job of a CASA is to be the eyes and ears of the Judge and monitor the well being of children who are without parents, living in a group home and who are wards of the State of Arizona. I have had several boys over the past 20 years, so this organization is close to my heart. You all know I love horses and kids, so here’s another organization that fits right in to that category. Over the years you may have heard of Sunshine Acres Children’s Home. It is celebrating 60 years in the valley and 1600 children have grown up there. But here’s the best part, Sunshine Acres thrives without any government money because generous individuals, foundations and corporation in our community contribute $2,000,000 annually to make this possible. What you may not know is that five years ago Sunshine Acres brought in a groundbreaking horsemanship therapy program for the children, they call it “Two Hearts Horsemanship Program”. The idea for the program is simple. The premise is that the loving heart of a horse can help heal the broken heart of a child through disciplined horsemanship and Christ-centered mentorship. By opening the hearts of the children, the horses teach them to trust and love again. The core principle is that “trust” must be earned through hard work (mucking stalls, grooming and feeding the animals) as well as a competent understanding of the horse and horsemanship skills. No one just “rides”, it’s a working class room.